The Vantage GT3 has been designed from the ground up to offer customers the latest in race-car technology and embraces all the experience Aston Martin Racing has learnt from years of engineering and competing in international sports car racing with the DBR9, DBRS9 and the latest Vantage GTE. The Vantage GT3 has a modified version of Aston Martin’s production 6.0 litre V12 engine. The dry-sumped engine produces more than 600 bhp with 700 Nm of torque and its position has been optimised further to improve weight balance. For 2016 it has new cylinder heads and camshaft, and updated oil and water radiators with improved airflow and cooling. Combined, these improve the engine efficiency and durability, as well as improving performance in high ambient temperatures and during close racing. Thanks to this built-in level of performance and the performance balancing in this class, the Vantage GT3 does not require expensive yearly upgrades to maintain its competitiveness. The Vantage GT3 is eligible for numerous race series around the world, including the ADAC GT Masters, Nürburgring VLN, Blancpain Endurance Series, British GT, Japanese Super GT, Malaysian Super Series, Asian Le Mans Series, European Le Mans Series, Brazilian Endurance Belcar, Open GT and Pirelli World Challenge among others. The Vantage GT3 has a modified version of Aston Martin’s production 6.0 litre V12 engine. The dry-sumped engine produces more than 600 bhp with 700 Nm of torque and its position has been optimised further to improve weight balance. For 2016 it has new cylinder heads and camshaft, and updated oil and water radiators with improved airflow and cooling. Combined, these improve the engine efficiency and durability, as well as improving performance in high ambient temperatures and during close racing. Thanks to this built-in level of performance and the performance balancing in this class, the Vantage GT3 does not require expensive yearly upgrades to maintain its competitiveness. 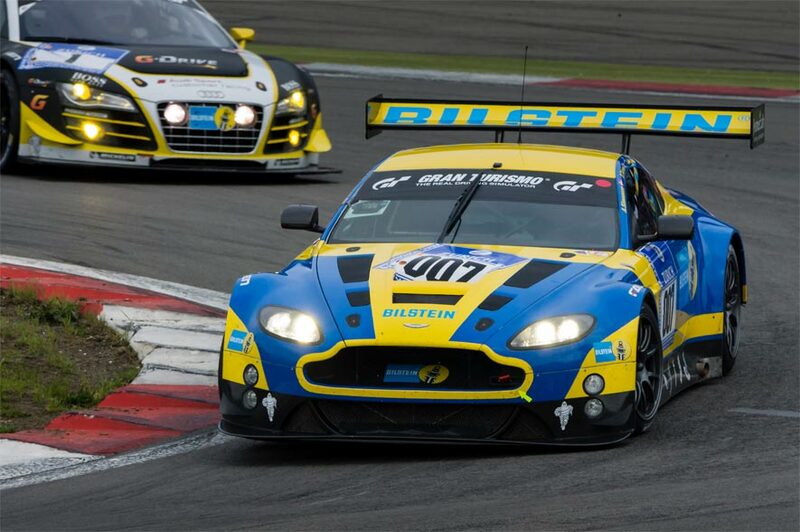 For 2016 the Vantage GT3 has four-way adjustable Bilstein dampers, similar to those found on the GTE. The drivetrain has an increased pre-load differential to improve stability and traction; a revised drop gear optimised for the latest BoP and track configurations and a new layshaft installation for durability. A carbon fibre propshaft mates the engine to an Xtrac six-speed sequential transmission with semi-automatic paddle shift gear change. 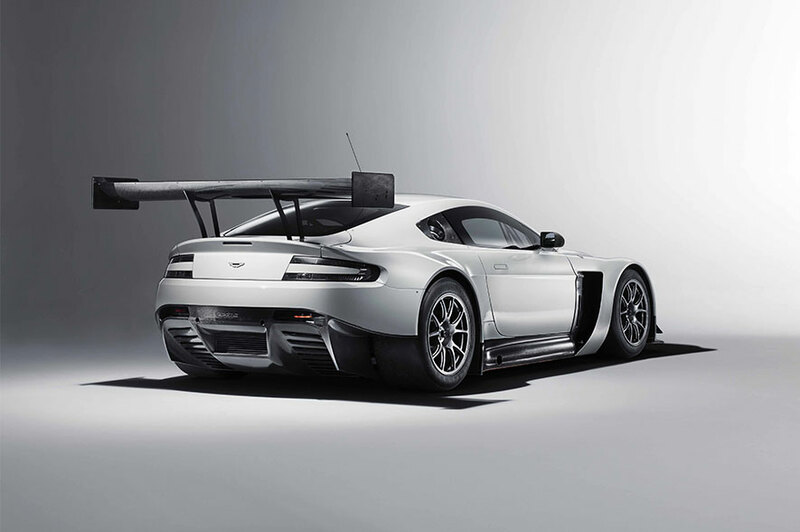 Like all Aston Martin racing cars, the Vantage GT3 uses the Vantage road car's bonded aluminium chassis to create a light and stiff structure. This combined with a shorter wheelbase and lower engine position contribute to enhanced handling and performance. Driveability is enhanced further with the latest race-developed ABS and traction control systems, which are fitted as standard. As such, the gap between pro and am drivers is substantially reduced. Most dramatic of all are the aerodynamics, which contribute to a muscular and purposeful stance, while maintaining the beauty of the V12 Vantage. • Front: 12.5" x 18"
• Rear: 13" x 18"